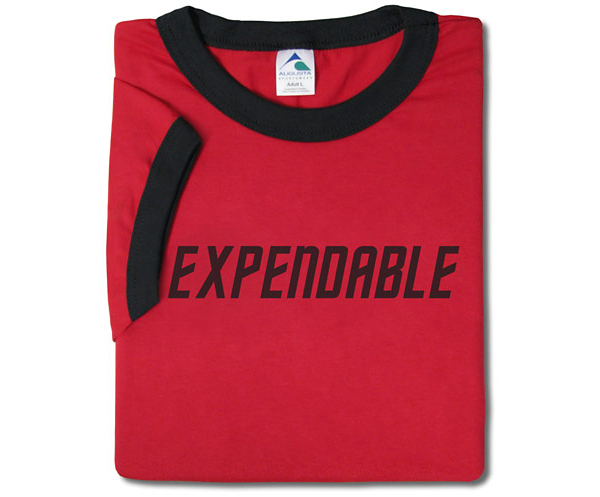 I find the “Expendable” graphic a bit too explicit – after all, it’s the color of the shirt that’s supposed to give the joke away, so I think a small Star Trek-related symbol or insignia would have sufficed. 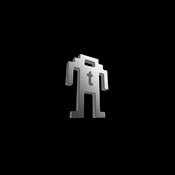 But that’s just me. You can order the Redshirt T-shirt from ThinkGeek for $20-$22 (USD).